I was raised with a strong Iñupiaq worldview, enveloped by Elders who grew up in a sod houses, living completely from the land for sustenance. I create art to bring people into that perspective, to activate within the audience a connection to their ancestral memory, transporting them to their own personal long ago, to their connection with the mythos. 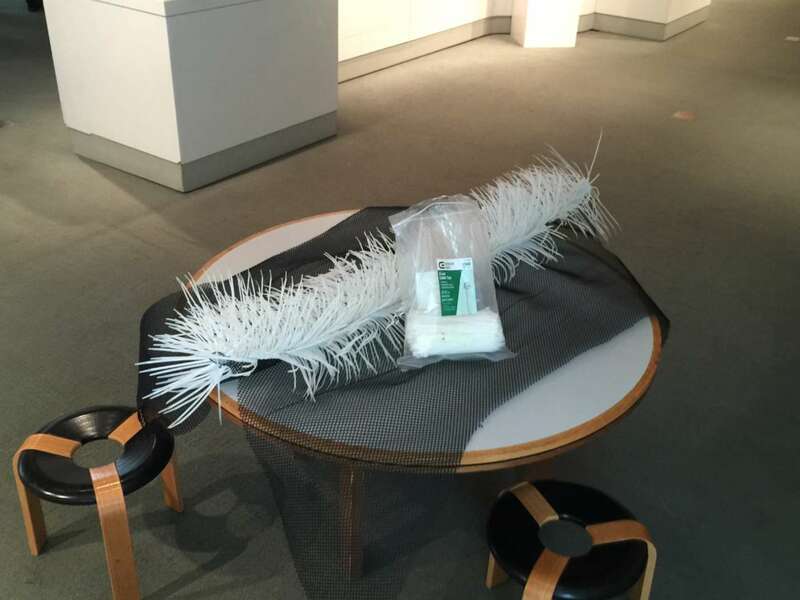 "Unipkaaġusiksuġuvik (the place of the future/ancient)” is a solo installation performative work that will debut at the top floor of the Anchorage Museum in October and November of 2016. In it, I will be creating a Iñupiaq ceremonial house, one that exists in the space between the hyper-future and the super-ancient, a liminal space where myths are born. I am studying and recreating artifacts that are in the Museum, using modern materials. I would love to visit with you more about my work. Polar Bear Community Art project 2015 (in process), Allison Akootchook Warden, Zip ties and crab pot material. Courtesy of the artist. 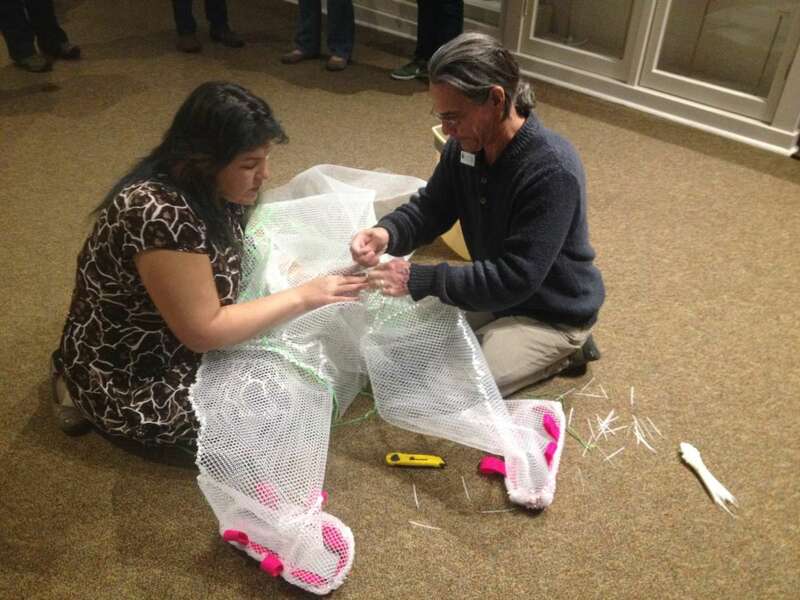 Whaling Suit 2015 (in process), Allison Akootchook Warden, Barback restaurant plastic, felt, hula skirt, zip ties, Dr. Scholls foot inserts and halibut glow leader. Photo by Jaqueline Fernandez. 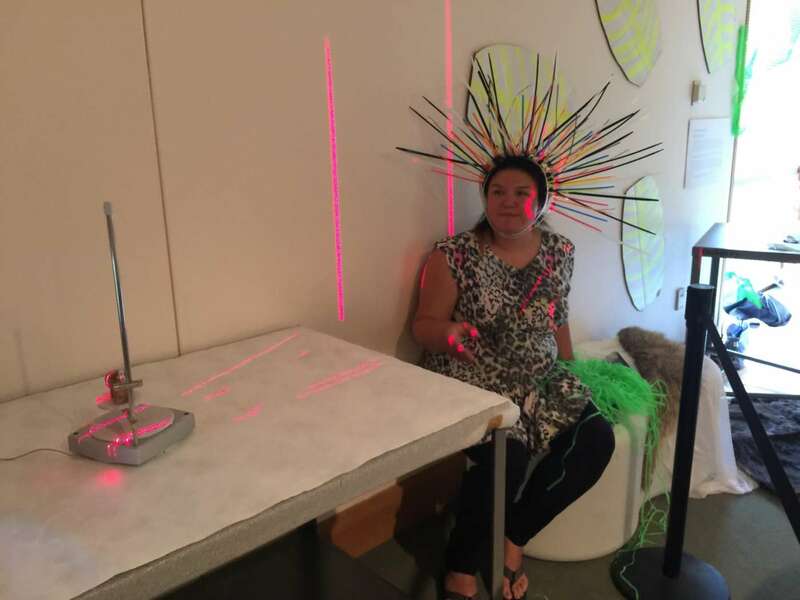 artmatters5 2015, Allison Akootchook Warden, Object from the Anchorage Museum, zip ties, hula skirt material and cardboard. Photo by Michael Conti.